Exclusively Ours! Hypoallergenic! Lead, Nickel & Cadmium Free!! 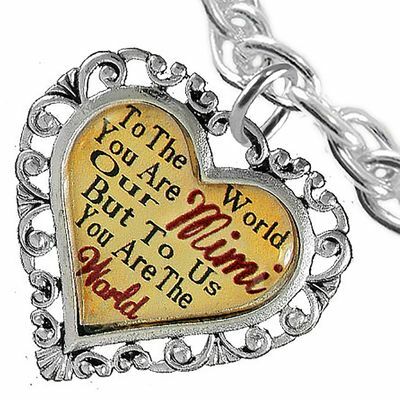 "Mimi" Charm, That Says, "TO THE WORLD YOU ARE OUR MIMI, BUT TO US, YOU ARE THE WORLD". 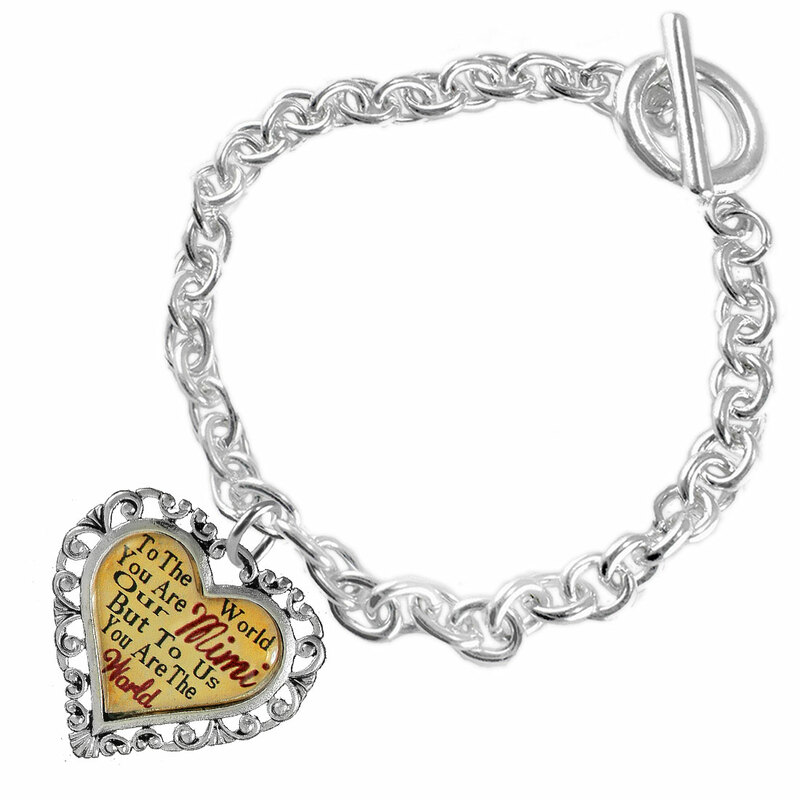 Beautiful Words, On A Polished, Silver Tone Chain Link Bracelet With Toggle Clasp. 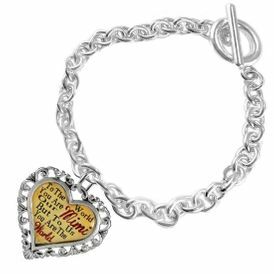 See Full Bracelet & Charm Picture Below.